Room for the whole family!!! This Tahoe runs as good as it looks and it looks SHARP!!! These family size vehicles are hard to find esspecially in such great condition. 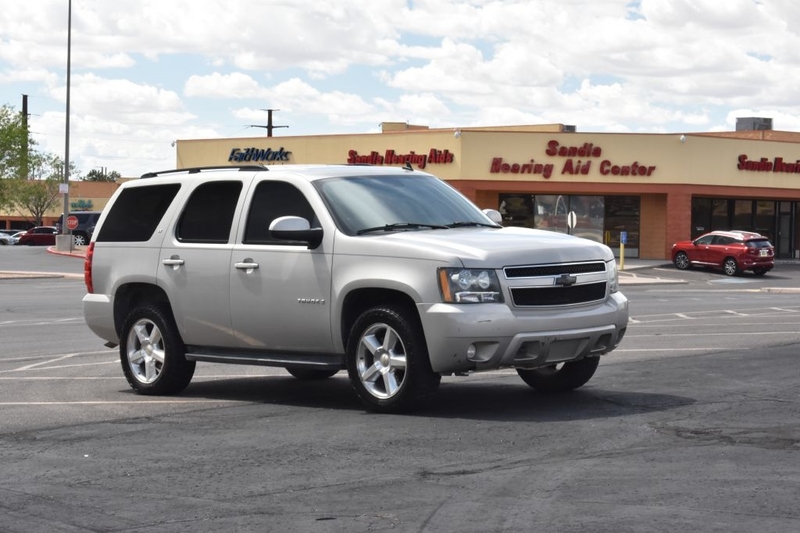 Let ABQ Auto Brokers put the car or truck you want in your life. Whether its to get your family moving down the road or to commute from work and back we have the cleanest selection of vehicles in town for you to choose from. Check us out online at ABQAUTOBROKERS.COM or come in and visit us at 2601 Menaul NE across from the Applebees. Give us a call at (505)508-1335. Free CarFax or Auto Check available on every Vehicle KEYWORDS: used cars. used cars albuquerque. used cars under 5000 used cars under 6000. used trucks. 4x4 trucks albuquerque. low mileage cars albuquerque. nice trucks albuquerque. albquerque used cars. used cars abq. dealerships albuquerque. good dealerships abq. quality cars forsale albuqerque. Free CarFax or Auto Check available on every Vehicle ABQ AUTO BROKERS specializes in the nicest used cars forsale in albuquerque. Every used car and used truck is hand selected. We specialize in carrying a large selection of used trucks, cars and suvs. We have expert knowledge on all of our used cars, used trucks, and used suvs so you will go home with the satisfaction of knowing you got the best deal with the best knowlege on every used car, used truck, and used suv we have in stock whether its a used car under 5000 or used truck under 6000 all the way up to our used diesels.